For the past two years, the city’s style glitterati have spent much of Boston Fashion Week parked in the posh Tent behind the Mandarin Oriental Hotel taking in shows between sips of champagne and cocktails. But with the Tent and its runway packed up indefinitely (the necessary sponsorships did not come through this year) and no central location for shows to take place, Boston Fashion Week spreads and expands all over the city, requiring a spreadsheet and a white board for proper planning. One look at the website confirms that Boston Fashion Week could qualify as an Olympic endurance event. Nevertheless, within all of the fashion shows, panel discussions, and see-and-hope-to-be-seen events, there are some can’t miss moments. Herewith, our highly subjective guide to the must-see events of Boston Fashion Week 2013, which officially starts Friday night and runs through Oct. 5. If you’d like to develop your own fashion week itinerary, you can find the entire list of events at www.bostonfashionweek.com. An event that consistently lives up to its name. Each year a panel of local tastemakers from Fashion Group International plucks some of the most promising local talent and gives them an opportunity to showcase their work. This year, you can catch the work of Launch designers not on runways but in artistic installations all over the city. Your first glimpse of Launch designers Tatiana Tejedor, Sasha Thomas, Carlos Villamil, and Sammi Yang is at the Launch Lens party at the W Hotel on Saturday, Sept. 28, from 6:30-9:30 p.m. Four of the city’s top fashion shutterbugs — Tracy Aiguier, Joe Benjamin, Sadie Dayton, and Bob Packert — each photographed the work of a Launch designer. The results range from ghostly and ethereal artistic shots to magazine-ready glamour pics. The event is free, but an RSVP is required (www.launchlens.eventbrite.com). You can also see the work of Launch designers in a furniture store (yes, I said furniture store) on Monday, Sept. 30, from 6-8 p.m. at Circle Furniture (31 St. James Ave., Boston location). The four designers will be on hand and models will wear the 12-piece capsule collections. It’s free, but an RSVP is required (also at www.launchlens.eventbrite.com). Finally, you can see the collections on display at Copley Place. The exhibit will remain in place until Oct. 11. Q. I’m fascinated by the creative process that you and Isabel have. At what point did the two of you realize that you could weave your talents together? Ruben: It was a natural process. Since we met in high school at age 13, we began to collaborate instantly. Because we liked each other, the rest was easy and fell into place naturally. We have always had very different aesthetics and points of view, but friction is good for art. Q. I know you don’t hold biannual fashion shows like most top designers. Were you ever concerned that not participating in New York Fashion Week would be detrimental? Isabel: It is important to hold fashion shows, and I love to see my clothes in motion. It’s all about the anatomy and body language for me. But fashion moves so fast now. I do love to mount fashion shows, but as a special occasion or purpose. That makes showing new designs even more meaningful. Q. Did things change after Michelle Obama wore your coat at such a historic event? Isabel: Yes, it did change everything. After working and developing my designs for 30 years and our amazing first lady wears my clothing, believe me, the world takes notice. Firas Yousif (pictured) has developed a following with his bridal gowns, but his evening wear is equally stunning, and he’s showing both on Oct. 3 at the Lindsay Chapel at Emmanuel Church (15 Newbury St.). Seating is at 6:30 p.m., the show starts at 7. Candice Wu will show her collection, inspired by insects, at the W Hotel on Monday, Sept. 30, from 6-9 p.m. Also on Monday, Denise Hajjar shows her Fall/Winter 2013 collection with a runway show at the InterContinental Boston. Tickets range from $75 to $100 and benefit Dress for Success. 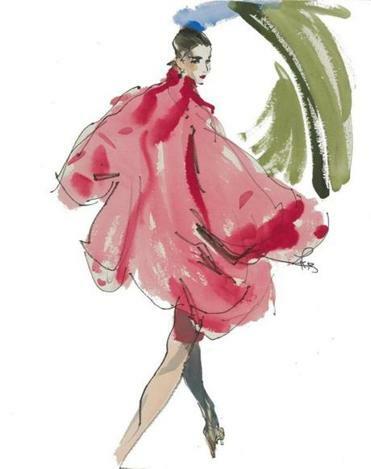 On Tuesday, Oct. 1, Bond at the Langham Hotel hosts a show with clothes from a handful of my favorite regional designers, including Jonathan Joseph Peters, Sarah Prost, Susan Trot, Jess Abernethy, Amy Stetkiewicz, and Kent Stetson. You can thank Evelyn Lauder, the late senior corporate vice president of Estee Lauder, for inspiring Michelle Tolini Finamore, curator of fashion arts at the Museum of Fine Arts, to create the Think Pink exhibition at the museum. The all-pink, all-the-time show opens Oct. 3 and features suits, jewelry, and accessories by designers such as Christian Dior, Dolce & Gabbana, Ralph Lauren, Christian Louboutin, and Oscar de la Renta (pictured). Lauder’s family bequeathed a sizable portion of Evelyn Lauder’s wardrobe to the museum. Given Lauder’s extensive work in raising money for breast cancer research, she had a fair number of pink party gowns from top American designers to choose from. But what Finamore shows in the exhibition, which features clothing dating back to the 18th century, is that pink was not always associated with the feminine mystique. If you’ve yet to attend one of Riseman’s fashion presentations at Brasserie Jo at the Colonnade Hotel, you can hardly call yourself a fashion enthusiast. With a keen eye for talent, the grand dame of Boston fashion asks some of her favorite young designers to present their designs during these lunch-time gatherings. It’s wonderfully old-school peppered with cutting-edge fashion. On Friday, Sept. 27, she’s asked designers Selahdor and Gregory Paul to show. French onion soup, and fashion, is served at noon. 120 Huntington Ave., 617-425-3240. Local designer Daniel Hernandez is promising a multimedia sensation at his fashion show on Tuesday, Oct. 1, at Venu. There’s a fashion show, a short film, an appearance by Miss United States Candiace Dillard, and a trunk show. As Stefon on “Saturday Night Live” would say: “This show has everything.” There are a few tickets left at $45. The extravaganza begins at 8 p.m. 100 Warrenton St., 617-338-8061. Celebrate the opening of the Boston Fashion Week with the in-the-know fashion crowd. If you want to find out about the best parties and shows to hit during Fashion Week (and you don’t believe this list! ), then put on your finest and arrive at Bond restaurant and lounge at 8 p.m. on Friday, Sept. 27. The event is free, but RSVP is requested (www.bfw13openingnight.eventbrite.com) 250 Franklin St., 617-956-8765. 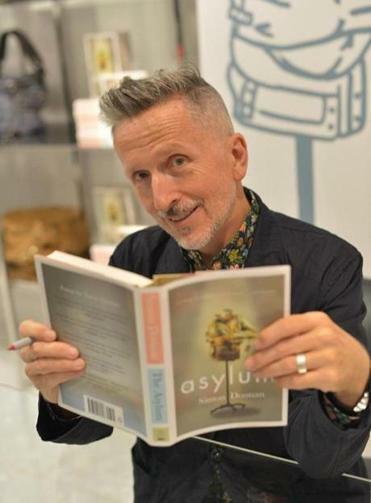 Simon Doonan, the international brand ambassador for Barneys New York, signs copies of his tasty, dishy new book, “Asylum,” at Barneys at Copley Place on Saturday, Sept. 28, from noon to 2 p.m.
Q. When I say Boston fashion, you say. . .
A. Barneys, Barneys, Barneys. That’s my experience with Boston. I love the sportiness and the authenticity of it. But we had a store there forever in Chestnut Hill, and I just remember these groovy women parading through in their Jil Sander and Helmut Lang. If anything, Boston girls really know how to turn it out. Women in Boston and San Francisco can be critical of themselves, but when I walk home up Fifth Avenue not everyone is wearing a Gareth Pugh jumper. Q. You’ve been in fashion for quite a while. What is the most dramatic change you’ve seen?